If the estate is very small and does not contain any property or large amounts of money, it may be possible to close small bank accounts without needing to obtain a grant of probate but in the majority of cases a grant is required. This is a legal document that is applied for from a probate registry and it proves that you are entitled to collect in the assets of the deceased, pay any debts and distribute the remainder according to the terms of the will. 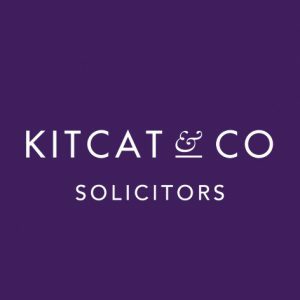 If there is no will, then the next of kin should follow a similar process to obtain a grant of representation and the estate distributed following the rules of intestacy. If you are a named executor in the will, in order to apply for a grant, you need to know the correct value of the estate at the date of death to complete the required tax forms. This involves contacting all relevant banks and building societies, investment companies and utility companies, obtaining a value for any property as well as any debts and liabilities. You are also required to swear a probate oath to state that the information provided is true to the best of your knowledge. Any inheritance tax due must be paid before you can obtain the grant, begin to collect in the estate’s assets and pay any debts, for example unpaid utility bills. Institutions will request sight of a sealed copy of the grant before they will release any money to the executor. The residue of the estate can then be distributed according to the terms of the will. 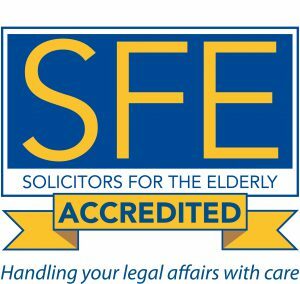 If the will contains trusts or there are beneficiaries under the age of 18, meaning that a trust is automatically created, this process becomes a lot more complicated and it is important to obtain professional advice to ensure that the will is followed correctly as executors are personally liable for any mistakes. There are two ways that we can help you in dealing with a probate matter. 1. In the first case we can obtain the grant of probate for you and then you can deal with the rest of the matter yourself. We will need you to provide us with all of the personal and financial details necessary. We will then prepare the inheritance tax return (this is required even if the estate is not liable to inheritance tax) and draft the probate oath. Then we will supervise the swearing of the probate oath and submit the sworn oath to the probate registry for issue of the grant of probate. 2. For the full service probate we will need a list of all of the deceased’s assets. We will then write to the financial institutions to obtain the specific details of their assets and liabilities at the date of their death. This will also include dealing with their income tax, pension provision and arranging to settle any funeral bills. Armed with all of this information we will prepare the inheritance tax return (IHT205) or the account (IHT400) if there is inheritance tax due. At this point we prepare the probate oath for swearing and once any inheritance tax is settled we will obtain the grant. At that point we can begin to collect in the various assets and can proceed to settle any debts or legacies and bequests when we have the funds to do this and if the estate requires any trusts to be established then we can deal with these. Throughout the process we will keep an accurate record of the money due, collected and paid out so that at the end of the probate we have a full set of estate accounts to provide to the executors and residuary beneficiaries at the time of the final distribution.